This camera is a small form positioning IR camera, which could track 4 IR objects at the same time. The applications are very various and goes from tracking of robots with IR transmitters for navigation to light barriers, determine the direction where the object is going to. It is also a flame sensor, which could track heat sources. It will be a very useful sensor to detect the flame position. Easy to install and to connect. Just four wires, two for power supply and two for I2C. Once the camera detects a signal, it will display its coordinates on the first position. And others will be empty(returns 1023,1023). If the camera detects several objects, it will arrange them according to the detecting order. If one of them is out of the view, that position will be empty(return 1023,1023). It only supports 4 objects at the same time. This code should show one colored blob for each detected IR source (max four) at the relative position to the camera. // in the middle of a string from the sender. Q What is the thread size on the SEN0158 part? Q In the manual, it mentions that the horizontal detecting angle is 33 degrees, while the vertical detecting angle is 23 degrees. How do I differentiate which is horizontal and which is vertical? A Please read more here, Wiimote/Pointing > Finding the Sensor Bar. For any questions/advice/cool ideas to share, please visit DFRobot Forum. 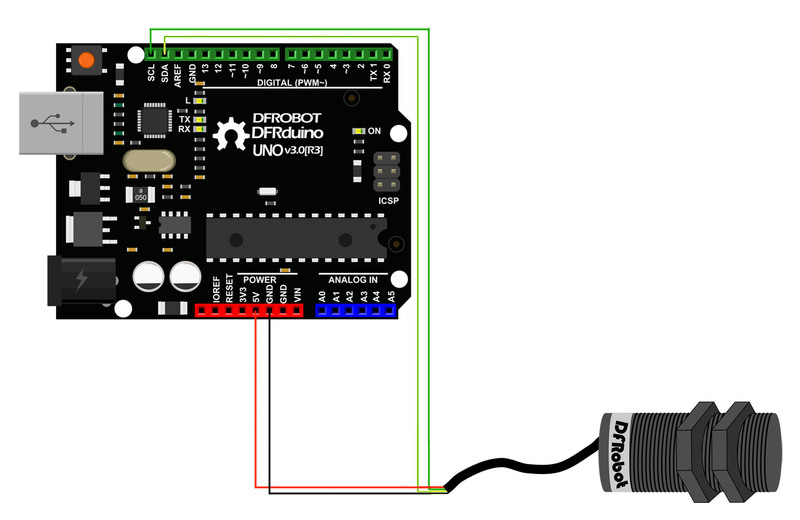 Get Positioning ir camera from DFRobot Store or DFRobot Distributor.